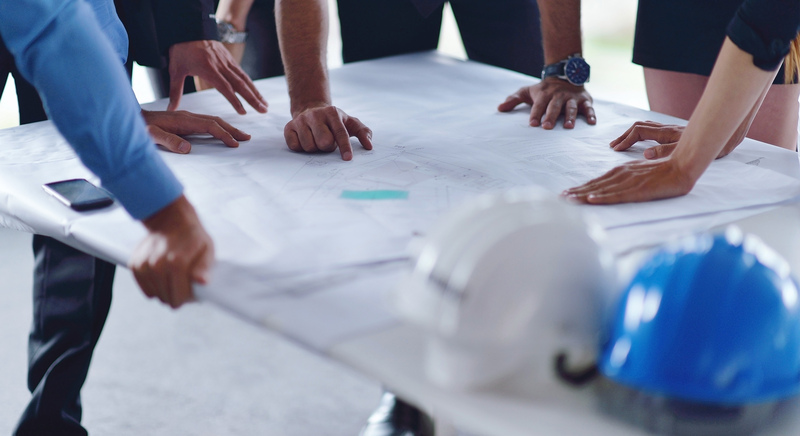 Our Seasoned Construction Managers are able to assist from design development, offering constructability and value engineering recommendations, through complete oversight of all construction operations of your project. From preconstruction to daily site supervisions, our Safety Managers are there to make sure that all construction activities are performed within compliance of all local, State, and Federal regulations, instilling worker confidence and increasing productivity. You can depend on our QA/QC managers to coordinate with the project management team on all aspects of quality validation from inception of the QA/QC plan to daily oversite of construction activities and all required material testing. Our Cost Estimating personnel are a critical link for arming the project team with the data to make informed decisions and controlling cost not only during the preconstruction process but also during the life of the project. Our licensed architects and CAD operators can provide conceptual design, floor plans, and other drafting support to assist you with all of your drafting needs. Our team can provide 3-dimensional drawings and renderings to support client presentations or to simply help a client visualize their ideas. Dedicated personnel will provide administrative services for the construction trailer, office location or anywhere that you need support. The inviting personality and competency of our staff will ensure the right balance of customer service and productivity. We can work as an extension of your team by interacting directly with the project managers, empowering the Project Manager by serving as a professional resource capable of dedicating our full attention to one of your most important triple constraints. We are also able to serve as an independent third-party reviewer or provide scheduling informational defense for any delay claims. Our belief is that maintaining the integrity of the CPM schedule is a critical component in project risk reduction.